Pat holds some of the colorful eggs from her different breeds. She gives them to family and friends. Pat follows a set procedure for handling the birth of the chicks; in four years she has never lost one with this technique. 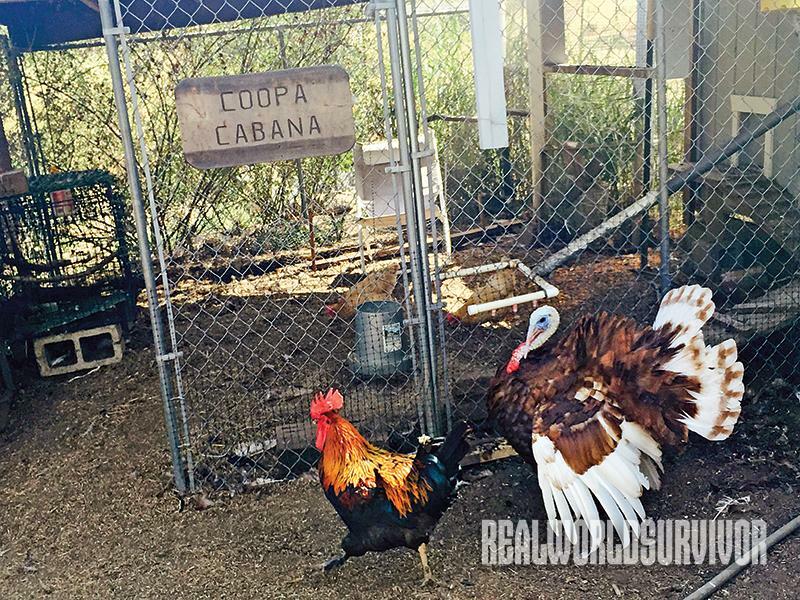 Pat’s “Coopa Cabana” provides plenty of shade for her flock. The mulch in the chicken pen makes cleanup easy. 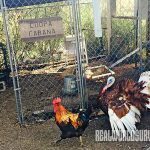 Two Bourbon Red turkeys, Ozzie, right, and Harriet, out of sight sitting on a nest, keep the hen house rodent- and snake-free and seem to deter hawks. 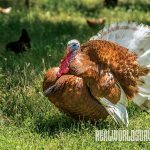 This is Ozzie, a Bourbon Red turkey. 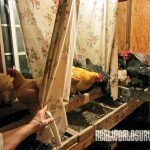 To keep the hens from fighting over a roost position, Pat blocks their vision by hanging pieces of sheet every few feet. If they can’t see each other, they don’t seem to fight. What goes on in a chicken’s brain? I’d say Pat Dambacher has a pretty good idea. Her sister Judy calls her the “Chicken Whisperer.” I asked Pat how she came by some of her chicken husbandry techniques. 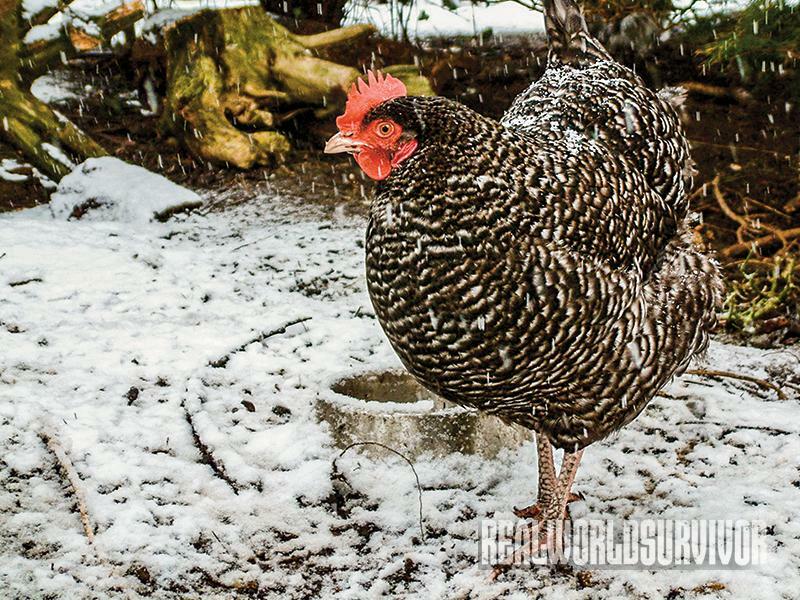 After observing her mixed flock of 22 chickens and two Bourbon Red turkeys (helpful for hawk control) and getting advice from internet poultry groups, she knows what works when raising a small homestead flock and shared these lessons learned. Pat feels an incubator is a distant second choice to a broody hen. “Hen-raised chicks seem sharper and, in my experience, are much better foragers,” she said. She has certain hens in the flock that go broody frequently, one in particular named Almondine who is the dominant hen. “I call Almondine the ‘barnyard beast,’ but she can certainly raise smart chicks. She teaches them by example, and she actually stays with the chicks longer than the other hens,” explained Pat. The mother hen also keeps the temperature just right for the chicks until they are on their own. Pat follows a set procedure for handling the birth of the chicks; in four years she has never lost one with this technique. To replenish her flock, she gathers no more than 12 eggs that she chooses based on breeding lines and traits she wants, such as egg color and disposition. She places the eggs under the broody hen in a nest box in late summer. Two weeks into the incubation of the eggs, she moves the eggs from under the hen at night and places them in a separate brooder section of her henhouse, then picks up the hen and moves her to the brooder. 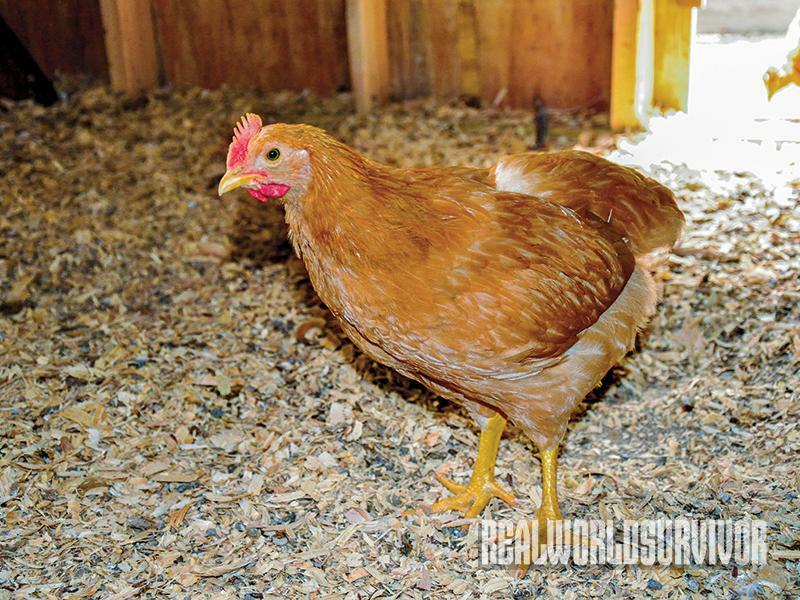 It takes the hen less than a minute to find the eggs that Pat has placed in a roomier nest of mulch or shavings. They now have their own space, and, when the chicks hatch, she can band them easily and the mother can take them into a separate run 30 feet long that runs parallel to the chicken yard. 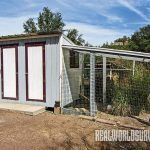 When the hen begins to get antsy to go back with the other hens, Pat can open a second door from the brooder pen that allows all chickens free access to each other. The hen has free choice to roost with the flock or remain with her chicks longer. This method allows chicks to be integrated with the main flock easily and without incident. They are already accustomed to each other. 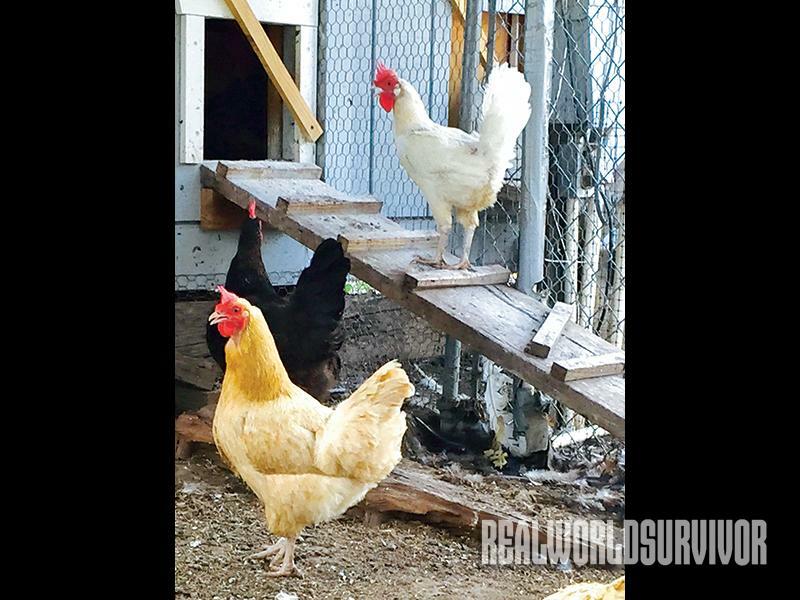 Pat’s passion for raising chickens has caused her to come up with unusual solutions at times rather than go with “common knowledge.” She noticed in her observing that the hens fought every night over roost position, and Almondine made life difficult for all the hens. 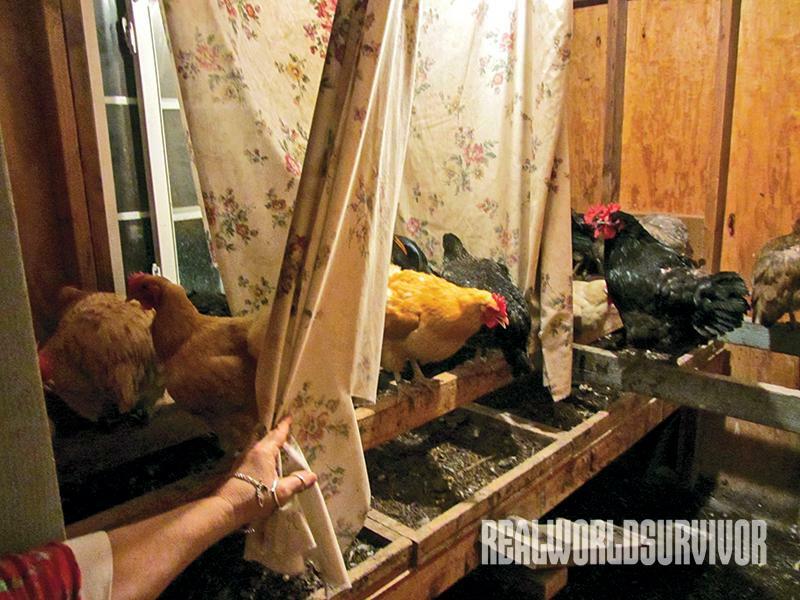 Pat got the idea to hang pieces of sheets every few feet across the roost to block the girls’ vision of their neighbors. The hens could move on the roost, could duck under the sheeting, but couldn’t see other hens farther down the roost. That seemed to satisfy Almondine, and peace each night was restored. 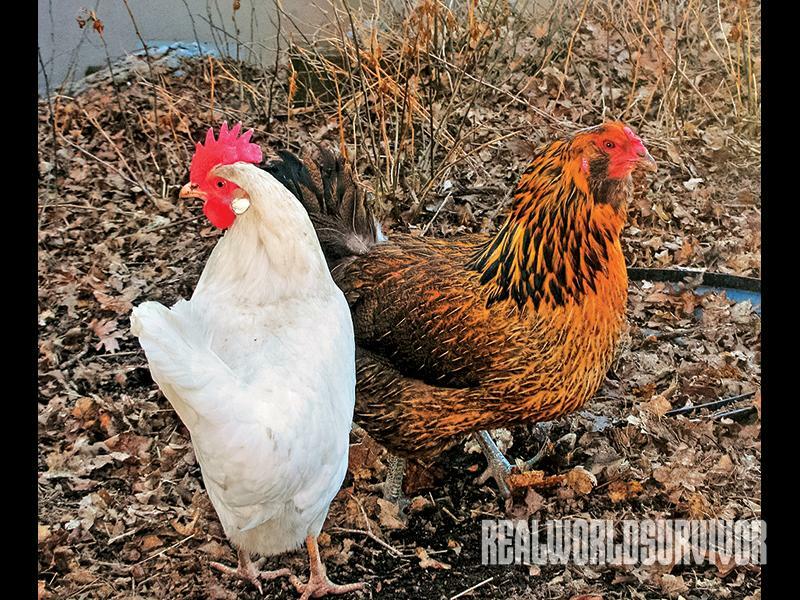 RELATED STORY: Know Your Chicken Feed! Instead, she gathered two-dozen eggs, put holes in them and blew the insides out, then filled the eggs with plaster, which hardened solid. She put the plaster eggs in each nest, and even put some on the ground, and called the chickens over. A few tried to eat the plaster eggs but grew disappointed. Pat gathered the newly laid eggs frequently during that training time. She said it took a full month before the chickens quit eating eggs, but she now had proof that egg-eating chickens do not have to be culled. 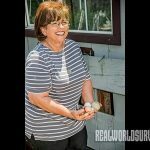 For two weeks during that period, Pat also increased the amount of protein in her chicken feed in the event they had begun eating eggs due to a lack of protein. More than likely, however, the cure came from the unpalatable plaster eggs. Once, she brought in a respiratory disease with some purchased chicks. 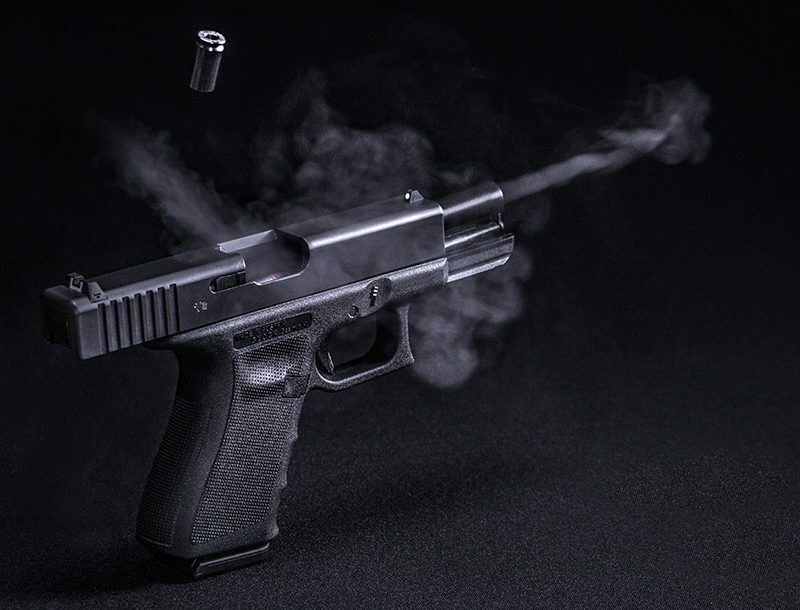 After searching the internet for solutions, Pat administered an antibiotic, which immediately cleared up the problem. However, she stated that she almost always tries a natural remedy first, since it tends to be the least upsetting to the chicken’s system. To maintain the flock’s good health, she grows a variety of fruits such as aronia, Nanking cherry, pea shrub, cranberry tree, herbs and many greens they can pick at will in their quarter-acre yards. In addition, they have free-choice, organic, soy-free egg-lay pellets (18 percent protein), and, when molting, she adds an organic chick starter (22 percent protein). She gives them kefir grains at least once per month, plus apple cider vinegar, meat scraps and dairy. 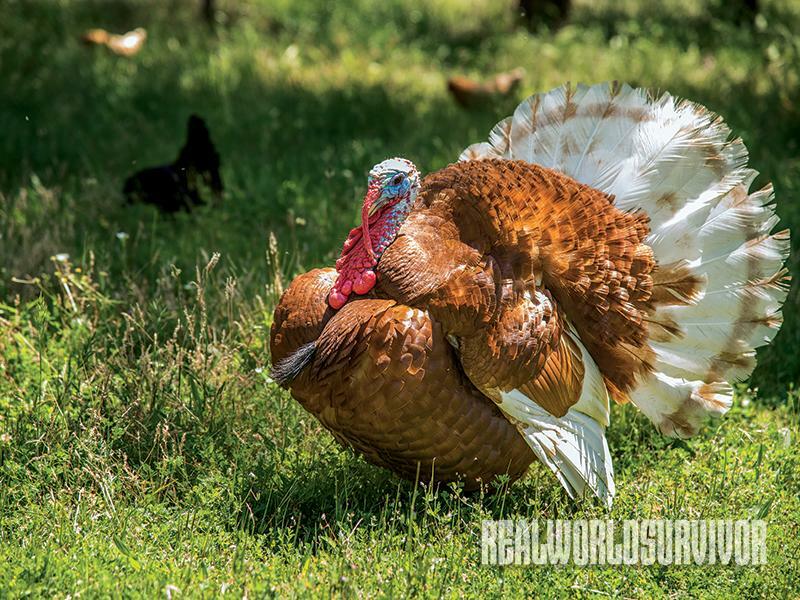 Chicks are started on organic turkey and wild-game starter (28 percent protein). No extra light is ever used to cause chickens to lay longer than nature intended. She wants to keep her friends around as long as possible, and even Almondine, at four years old, is a regular layer. 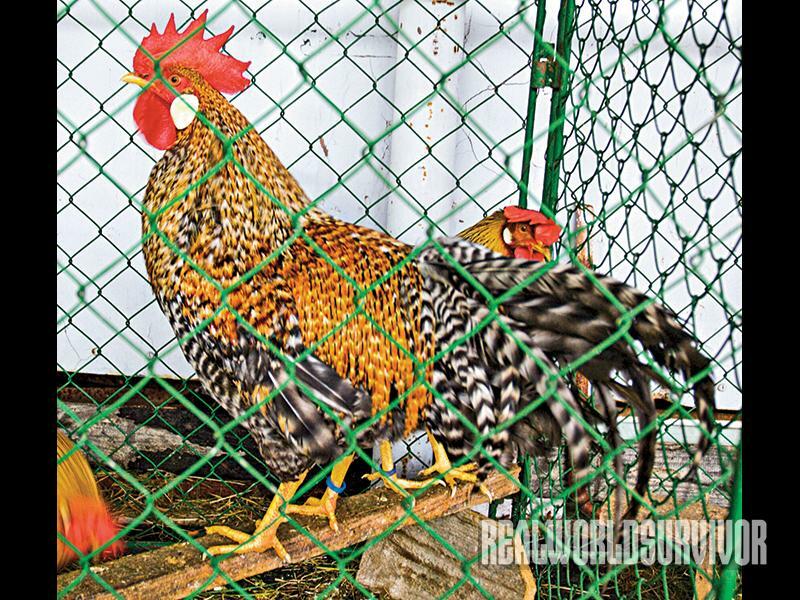 RELATED STORY: Chicken Scratch: Your Poultry Farming Questions Answered! 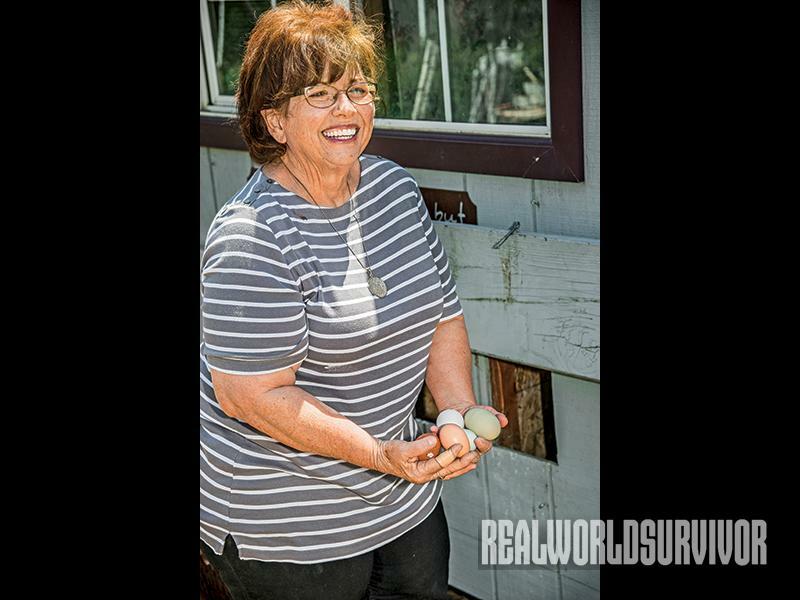 “I have chickens because I love the chickens, and the eggs are a bonus,” said Pat. If you are fortunate enough to receive a carton of Pat’s chicken eggs, you will be dissatisfied with all others forever after. They are works of art—Mother Nature’s chocolate browns, buffs, blues, greens and whites, all in one nutrition-packed carton. For diversified egg color and just for fun, Pat has included the following breeds in her flock. 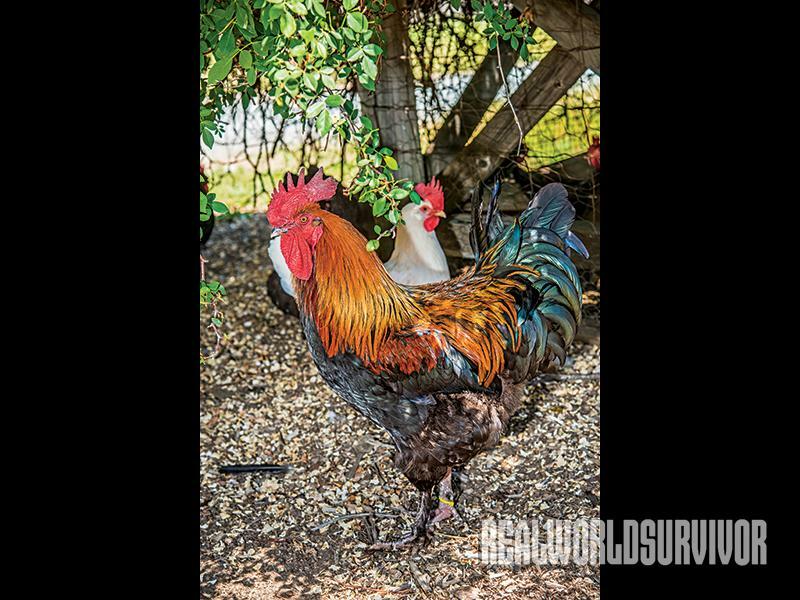 The roosters often look very different from the hens in the same breed. 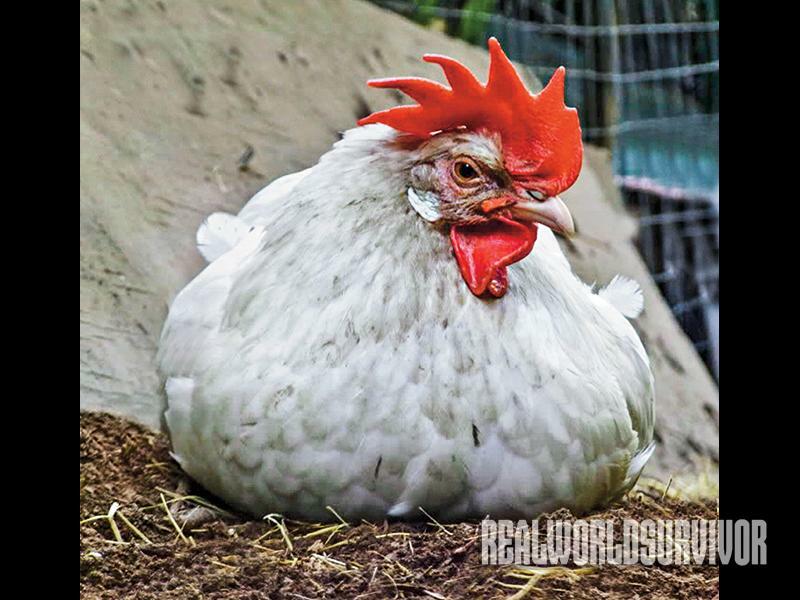 Ideal 236 is a white chicken with a great personality. A hen (above) lays bright white eggs. 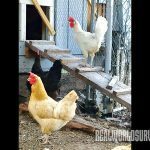 An Ameraucana hen (on the right) is a medium-sized chicken that lays blue eggs, or an olive egg from a cross with Marans. A Black Copper Marans (Bev Davis line) lays dark chocolate-brown eggs. 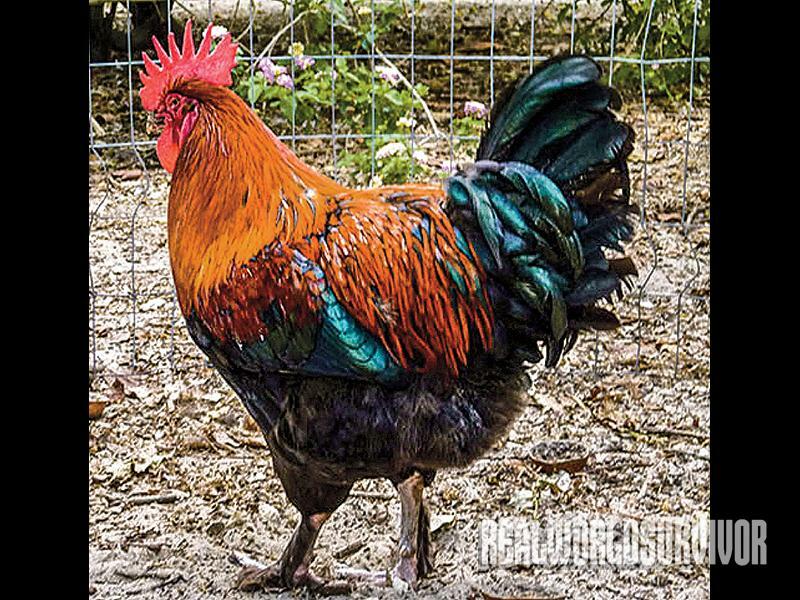 Cream Legbars, developed from Brown Leghorn, Barred Rock and Aracauna, lay blue eggs. Above, a rooster. A Buff Orpington hen lays buff eggs. Above: a rooster at 8-weeks. A Cuckoo Marans hen lays medium-brown eggs. They are docile. Blue Wheaten hens lay dark brown eggs. 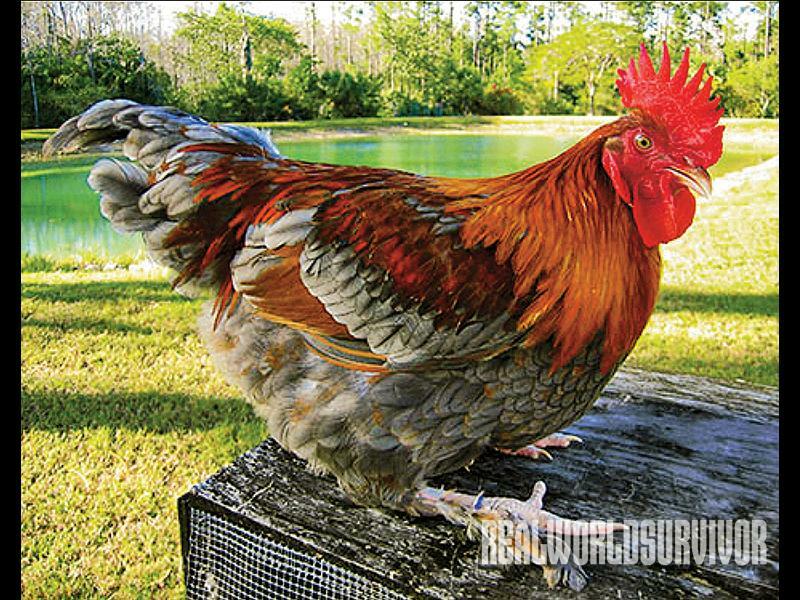 Shown here, a rooster. 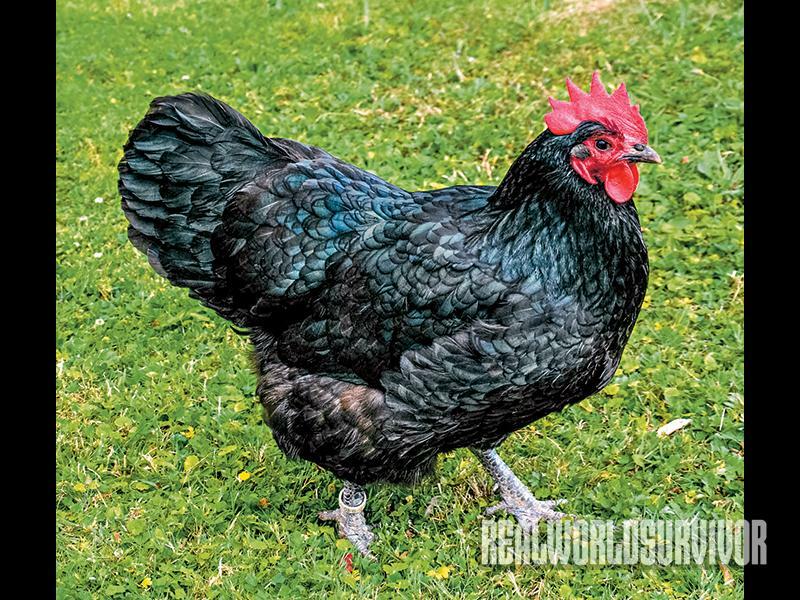 Black Australorp hens like this one lay buff-colored eggs. Research. 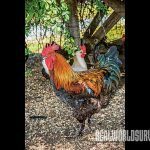 Learn which chickens are best adapted to your climate, what their needs are and what is the best coop design. Always purchase fewer chickens than you ultimately want so you can stagger their ages each year. 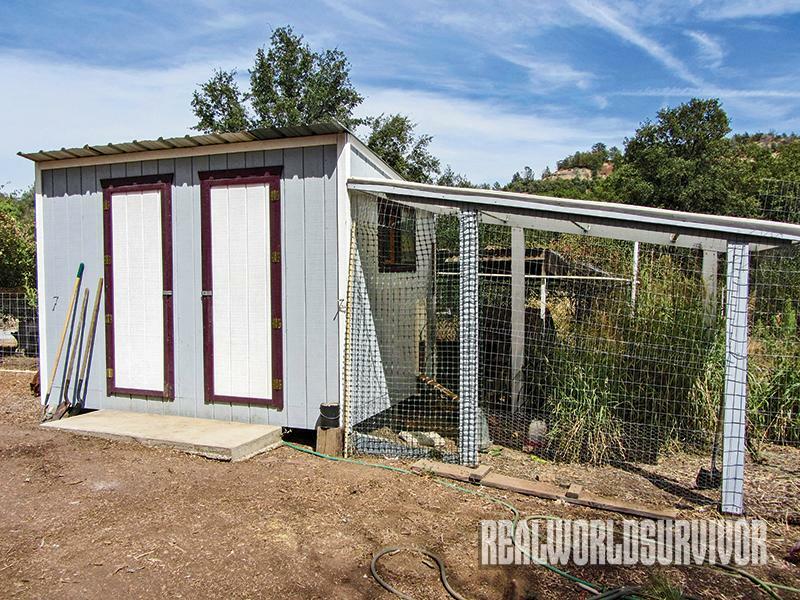 When designing your coop, remember that chickens get hot. Give them space to spread out. Removable “poop trays” covered with mulch can be added readily to the compost pile. Try to find a free mulch source. Remember that you will have 50 percent male offspring, so have a plan for butchering. 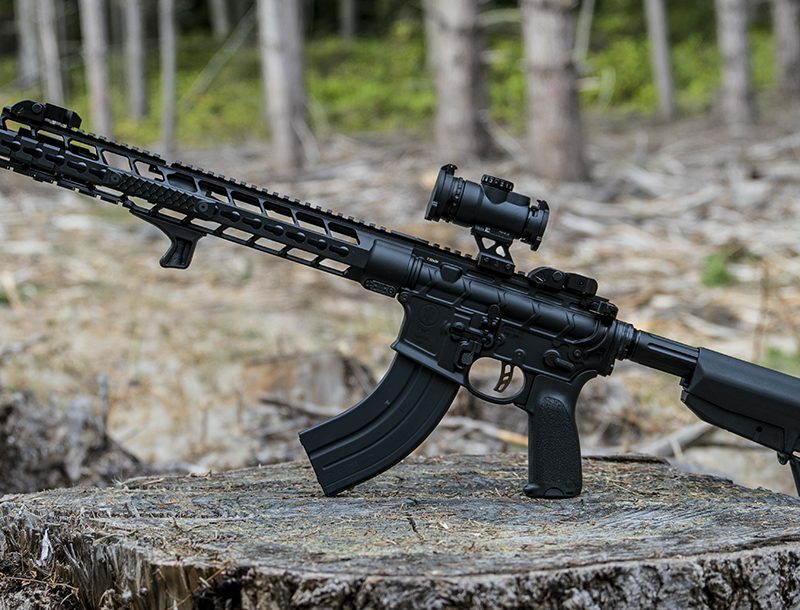 Raven Crest Tactical blades are primed for medical emergencies and backwoods tasks.